The new year is well on its way and what better way to welcome it than with a little home renovation?! 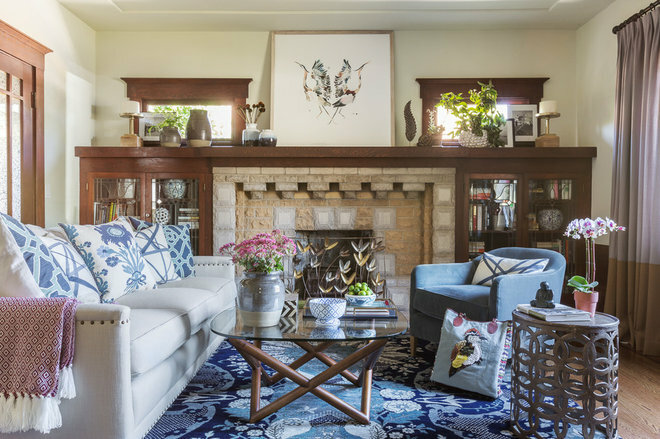 If you’re considering sprucing up your home and are looking for inspiration then look no further, here is a list of the top 25 design trends for 2016 compiled by Houzz.com. What’s our favorite trend you ask? It was hard to pick but if we must choose our favorites are the use of extra large format tiles (so creative!) and the introduction of workhorse islands (a great space to gather with your loved ones and cook up a beautiful meal!). Happy renovating! The modern home is always evolving. And to get an idea of what it’s evolving to, look no further than what’s happening within its walls today. 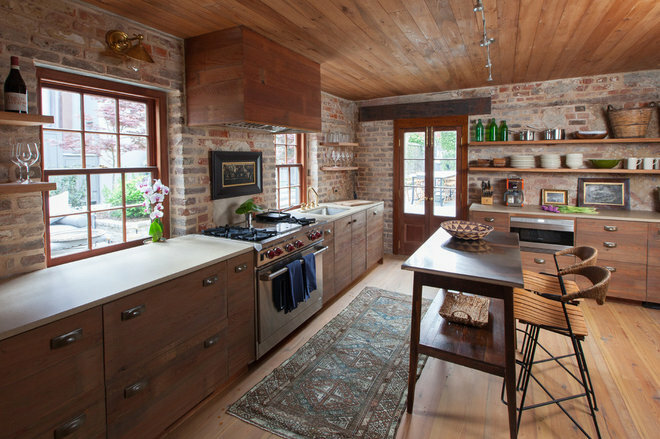 With that in mind, we delved into our New This Week series, sifting through Houzz discussions and data to find out what materials, strategies and concepts will be coming to more homes in 2016. 3. Colored stainless steel appliances. Black stainless steel is making a buzz on Houzz. 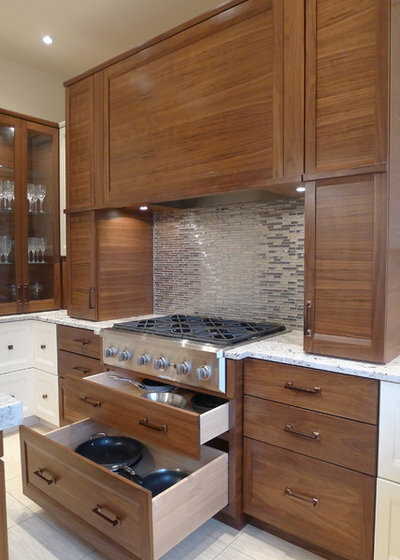 In a poll, nearly two-thirds of Houzzers say they would consider the dark alternative to shiny silver metal. 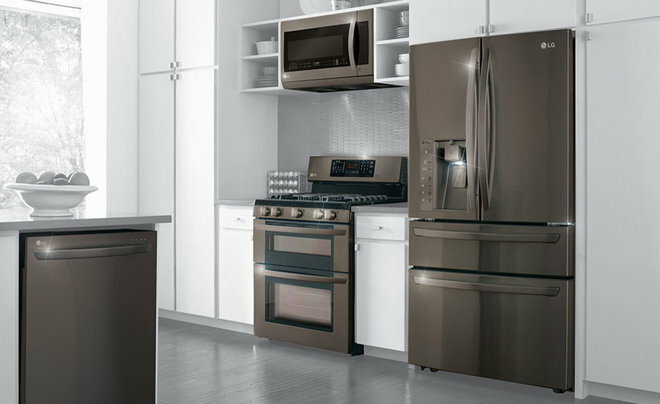 (Shown here is LG’s new Black Stainless collection.) Not into the darkness? Head to the light with Whirlpool’s Sunset Bronze finish. 4. Extra-large-format tile. 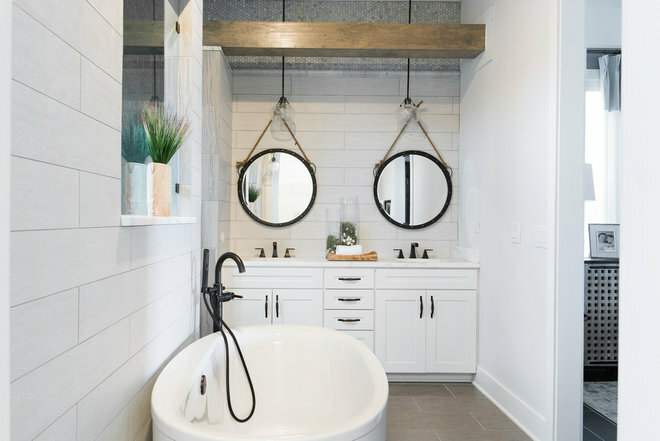 Large-format tiles (such as 12 by 24 inches) have been making an appearance in kitchens and bathrooms for some time now, but be on the lookout forextra-large-format ones. Just how extra? 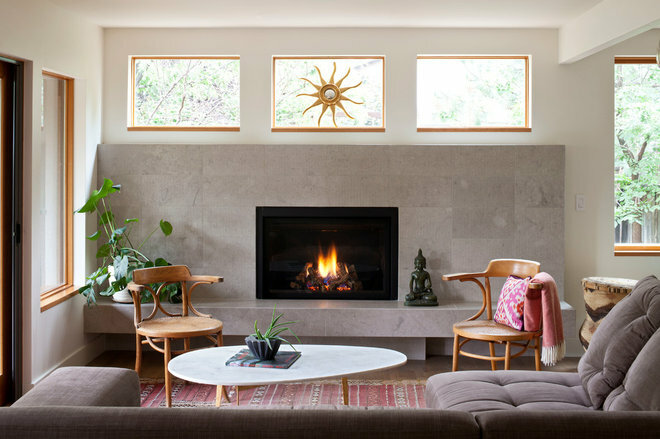 Try 31 by 71 inches, like the ceramic Ann Sacks tiles shown here on a fireplace surround project by Pangaea. That’s almost 3 by 6 feet! 8. Niche appliances. Looking for a little added luxury in the kitchen? 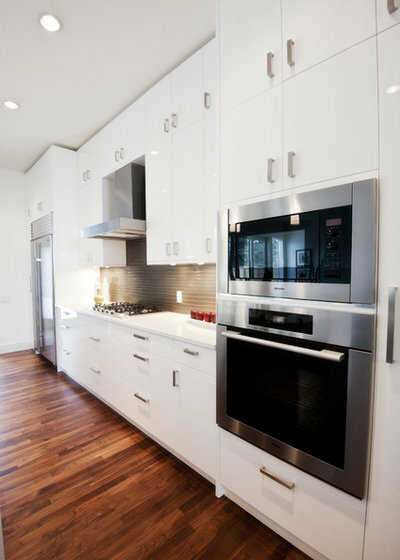 Steam ovens (shown here) promise to cook food more thoroughly and healthily than microwaves; warming drawers give cooks a little wiggle room to deliver hot meals to family and guests; induction cooktops save space and are safer for homes with young kids; and kimchi refrigerators offer fans of the popular Korean condiment a chance to make their own at home. 9. Heated entryway floors. Sure, heated floors are popular in bathrooms, but if you live in a cold region, consider putting them in your entryway to help melt snow and dry boots. 10. Workhorse islands. 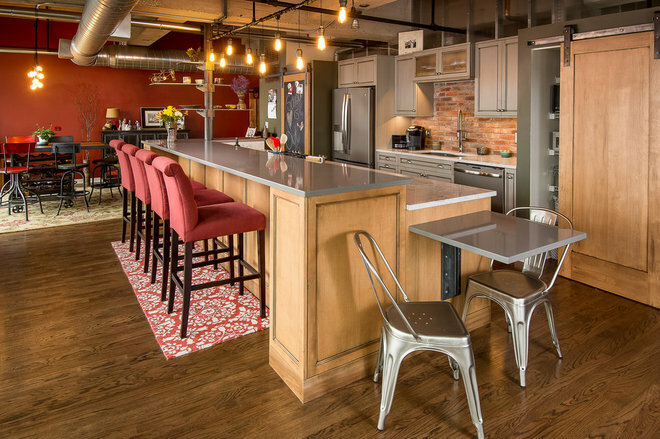 Kitchen islands provide additional workspace, but they’ve taken on so much more than that. With deep storage, prep sinks, room for seating and more, workhorse islands are becoming the central feature in modern kitchens. 11. Statement mirrors in bathrooms. So long, medicine cabinets. Hello, statement mirrors. 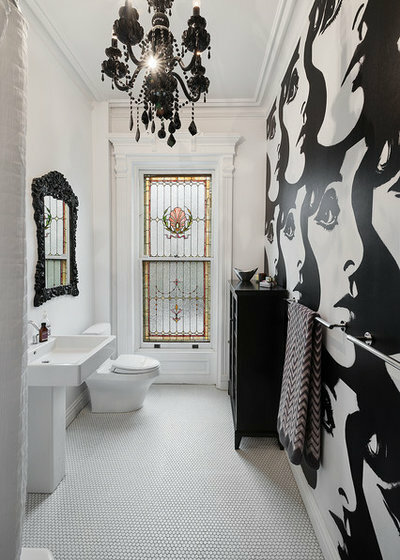 Think large wood-framed beauties, backlit modern marvels and ornate vintage gems that boost style in a bathroom. 12. Barely there kitchens. 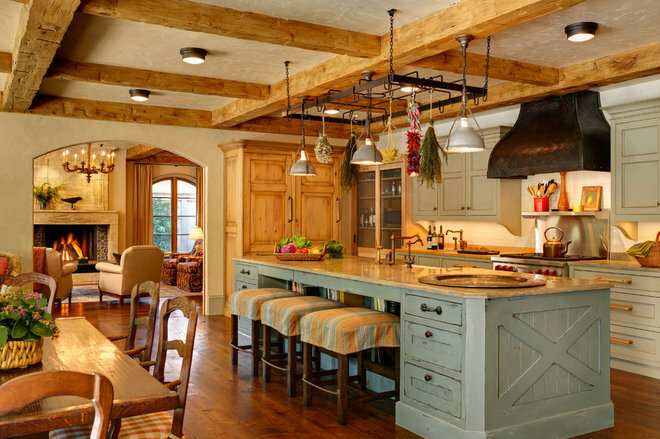 As kitchen layouts become more open, spatial identifiers like walls of cabinetry and full-size appliances fade away, leaving behind airy, fluid spaces that serve multiple functions while looking barely there. 13. Living rooms that ditch the tech for family. With so much screen time throughout the day and night, homeowners are looking for a calm respite where they can read a book, chat with friends and family or just sit quietly. Thus, the rise of living rooms devoid of digital distraction. 14. Kitchens that embrace openness and raw materials. The inherent simplicity in open shelves and raw materials plays a big part in the barely there kitchen we mentioned earlier. Embrace these, and the rest will follow. 15. 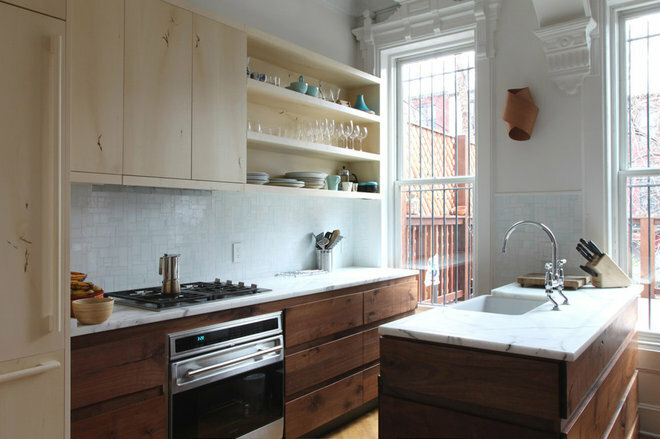 Surprising backsplash and countertop pairings. You could play it safe with white subway tile and granite countertops, but sometimes safe is so boring. 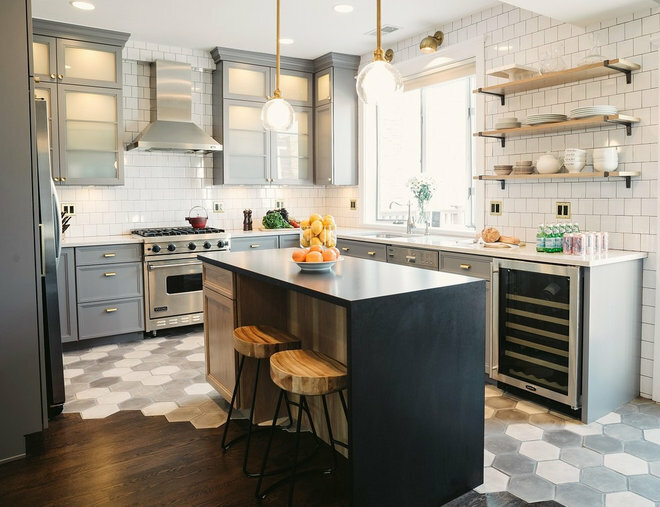 Instead, consider a different combination, such as a brick backsplash with concrete countertops (as shown here) or yellow ceramic tile with butcher block. 16. 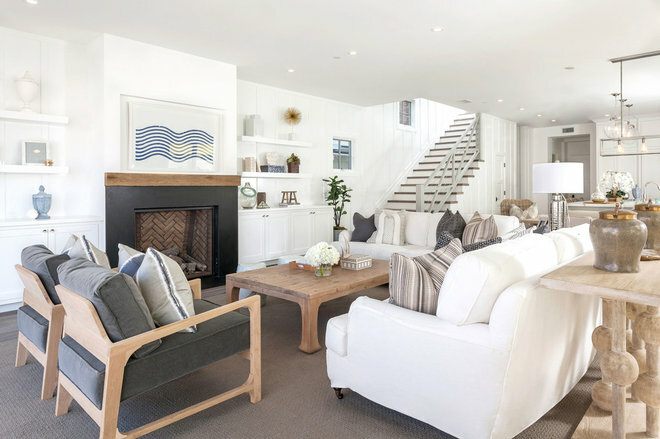 Fully decorated living rooms that don’t go overboard. How do you know when you haven’t decorated enough, or decorated too much? Designers pay attention to scale, light, function and more to strike the right balance. 17. Special kitchen features. Sometimes a kitchen needs that one special element that takes it from a useful space to a vital one. Here, a dining table on casters allows various seating arrangements for casual family meals and large parties with friends. 18. Sunrooms. A sunroom is a top dream space for many homeowners. 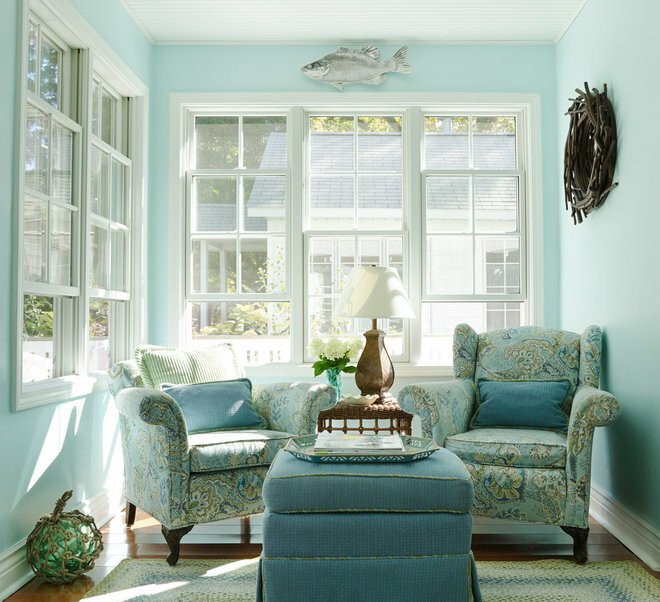 Even those who don’t have the luxury of having — or adding — one are finding ways to carve out a special sun-drenched corner in their homes. 19. Punched-up white kitchens. White kitchen walls and cabinets — and even countertops in many cases — is a trend that will continue for years to come. 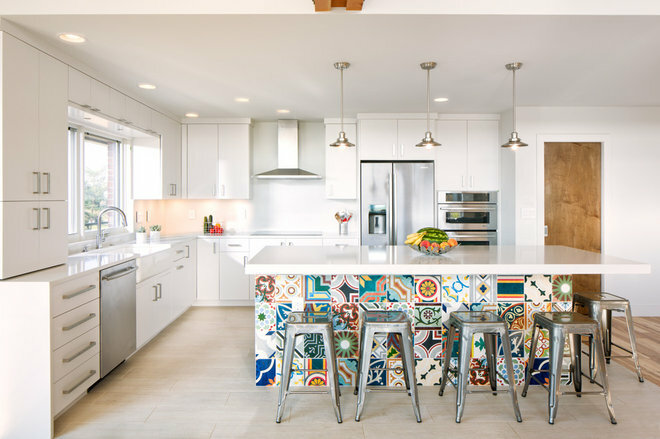 To avoid a too-sterile look, however, many designers and homeowners are learning to punch up an all-white space with smart, colorful details through tile, floor-to-ceiling bookcases, raw materials and more. 20. Bold powder room wall coverings. Dramatic wall coverings in powder rooms are nothing new, but the options for dazzling prints, textures and custom graphics are ever increasing. 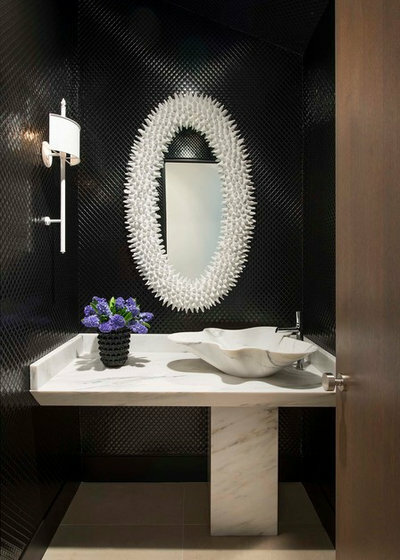 Here, Black Quilted Lacquer wallpaper by Phillip Jeffries steals the show. 21. Mixing modern materials in the kitchen. Looking for something a little more lively than white cabinets and granite countertops in your kitchen? Consider mixing several modern materials, finishes and colors. Here, butcher block countertops get broken up with soapstone near the stove and Carrara marble on a nearby baking station. 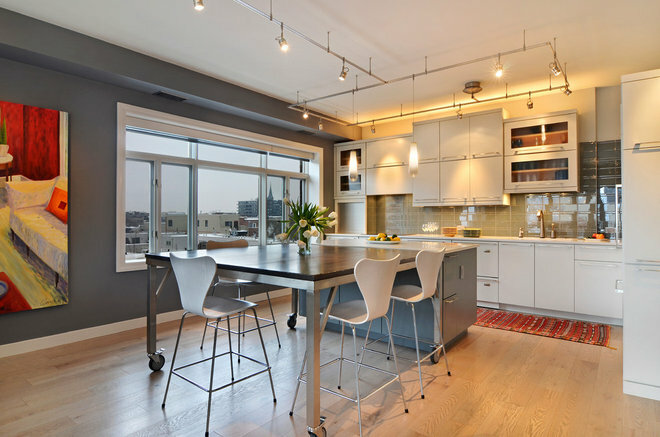 These mix with olive-green cabinets and stainless steel appliances for an eclectic, sophisticated look. 22. Attention-seeking bedrooms. A can of paint will certainly transform the look and feel of a bedroom, but to take the sanctuary to the next level, you’re going to need bolder ideas. 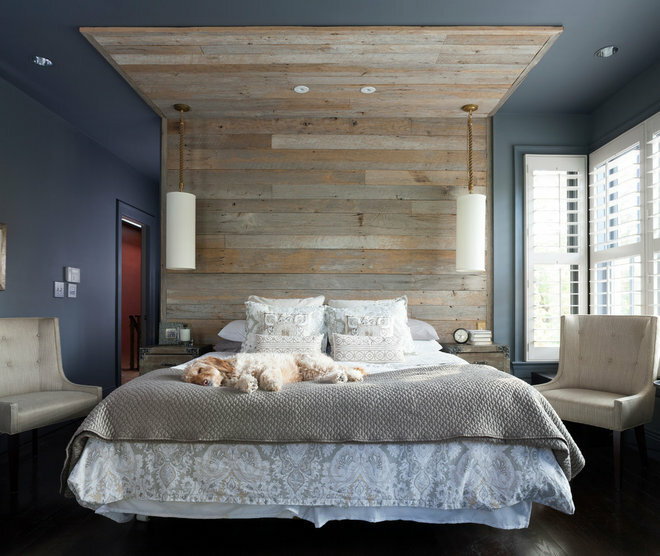 Here, a rustic wood wall and ceiling feature warms up the otherwise contemporary room. 23. 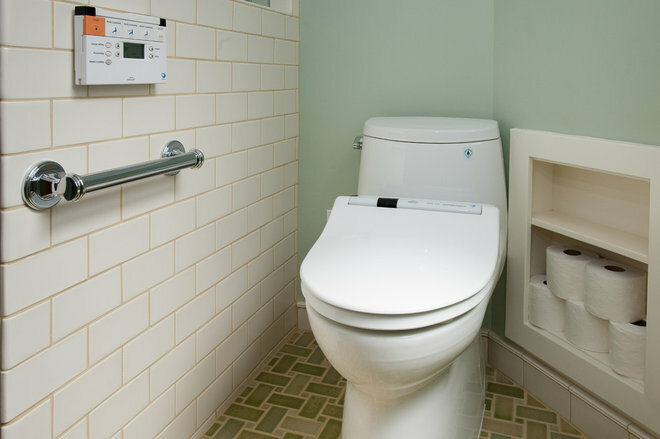 Bathrooms that feel more like living spaces. 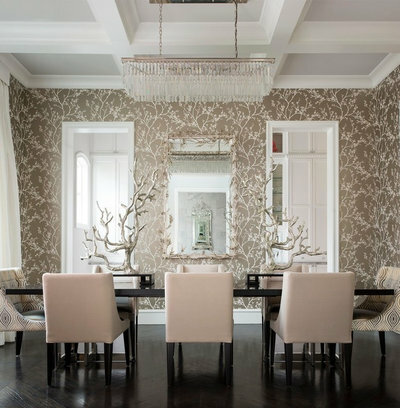 Graphic wallpaper, ornate chandeliers and furniture-like pieces turn sterile spaces into ones that feel a lot more like home. 24. Fireplaces and fire features. 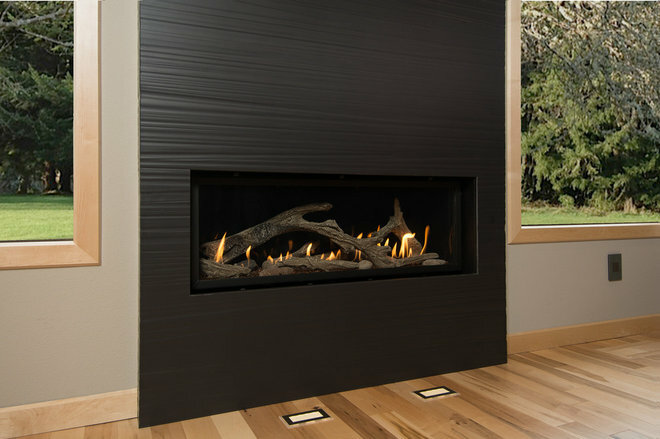 New advances mean you can have all the ambience without the smell, pollution or hassle of traditional wood-burning fireplaces. Plus, fireplaces are making a comeback as living room focal points in lieu of the dark void of a TV screen. 25. Farmhouse entryways.Stripping away the need for fancy flourishes or decor for decor’s sake, farmhouse style gets at the root of function. 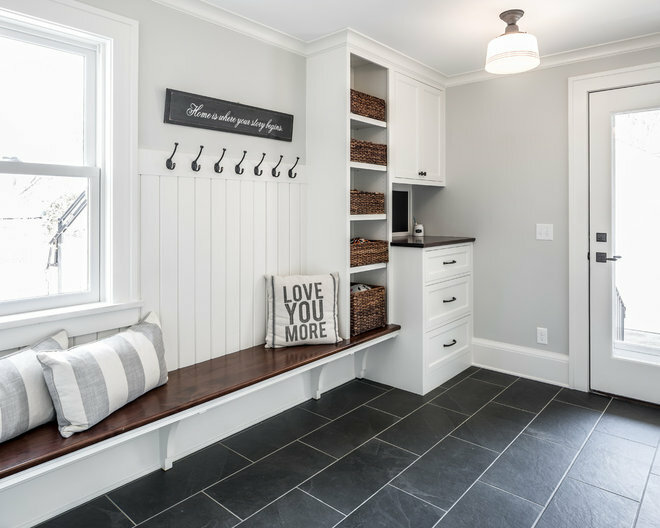 That’s why the style makes sense for mudrooms, where simplicity in storage and durability in materials are paramount. Source: Parker, Mitchell. 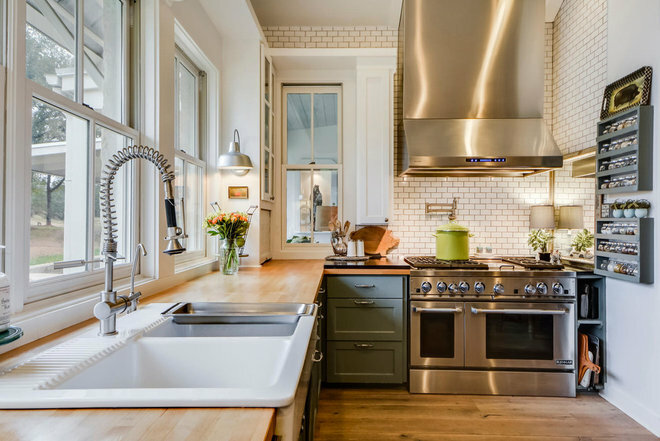 “25 Design Trends Coming to Homes Near You in 2016.” Houzz.com. N.p., 29 Dec. 2015. Web. 1 Mar. 2016. 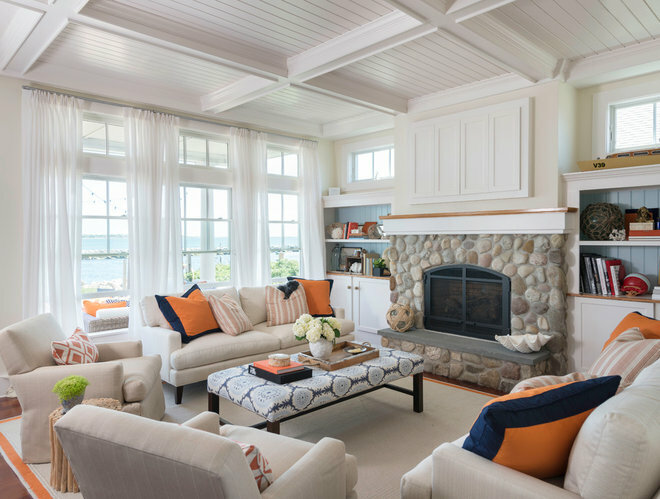 <http://www.houzz.com/ideabooks/58454857/list/25-design-trends-coming-to-homes-near-you-in-2016/>.